Neil's art work has received a range of endorsements. 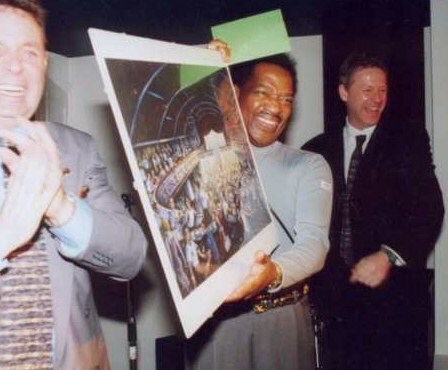 Here Neil can be seen presenting the print "Something Keeps Calling Me Back" to the late, great Edwin Starr. Neil is with Northern Soul DJ Gaz Gill. The photograph is courtesy of Dave Leedham, thanks Dave! 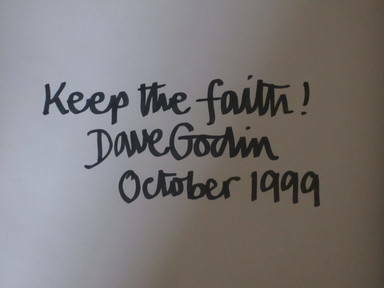 Dave Godin was so impressed with this image that he signed several of our prints when we visited "The Ritz" at Brighouse in October 1999. 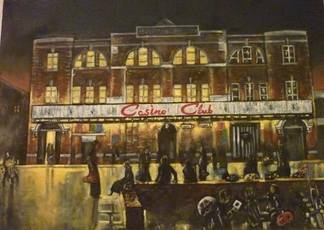 One of Neil's paintings, Casino Club, has been on display in Wigan's Grand Arcade, the very spot where the Casino was located! 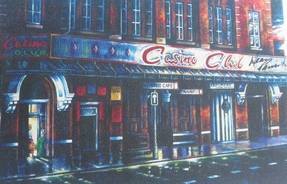 Dean Parrish has also endorsed Neil's paintings.